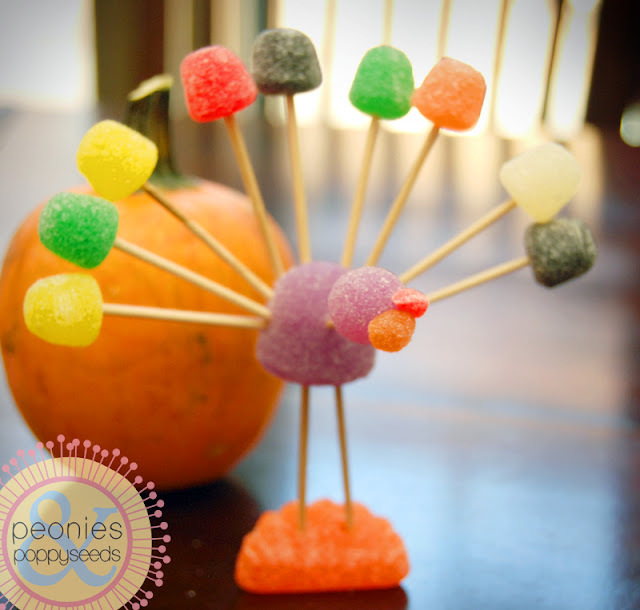 Every Thanksgiving, as I was growing up, we made gumdrop turkeys. And then we ate them. So now I have the same tradition with my kids. 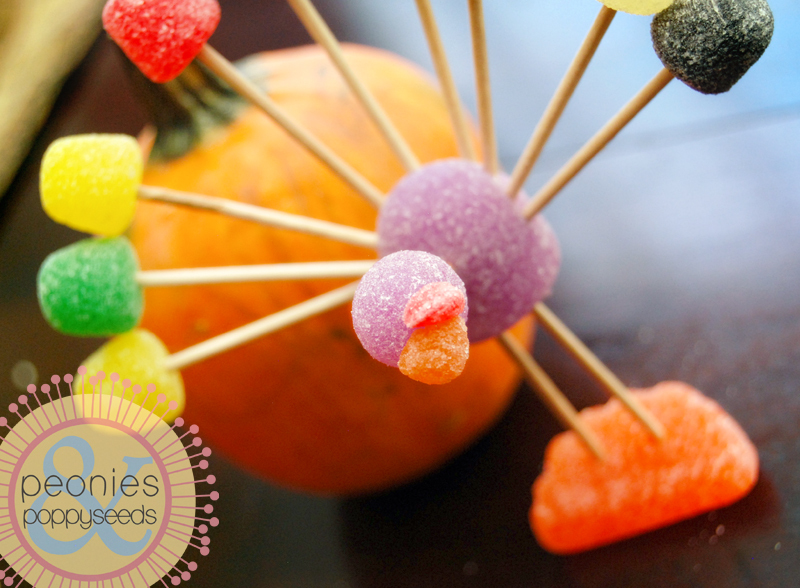 Want to make your own gumdrop turkey with your own kids? 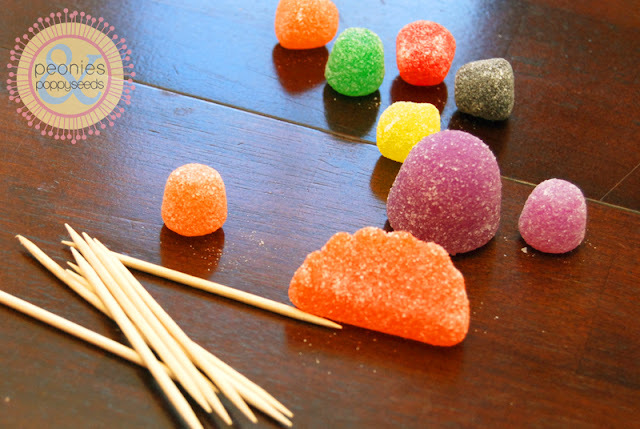 You will need: big gumdrops, little gumdrops, toothpicks and those orange slice gummy thingies (the orange slices are actually optional, but they do make the best "feet"). Now take a couple of toothpicks and stab one side into the orange slice thingy and the other side into the bottom of a big gumdrop. 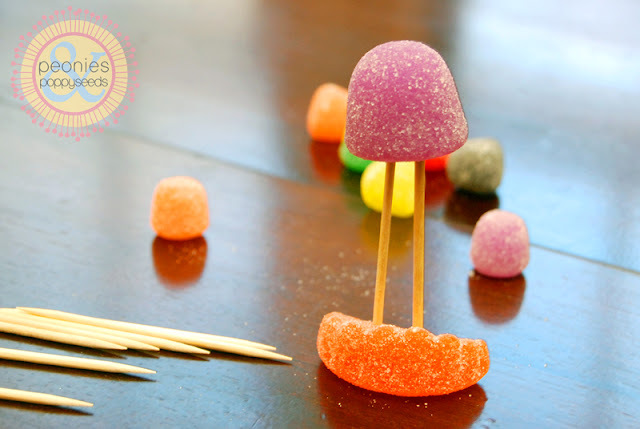 Then take the little gumdrops and stick a toothpick in each one, and then stick them into the back of the big gumdrop to make a tail. Note: you can have as big of turkey tail as you want, but I must warn you that the bigger your tail is, the more likely your gumdrop turkey is to fall over once you're done - it's just a sad fact in gumdrop turkeydom). Now, break a toothpick off so it's a little bit shorter than normal, but make sure you get all the wooden shards off of it so that you don't have to eat them later. 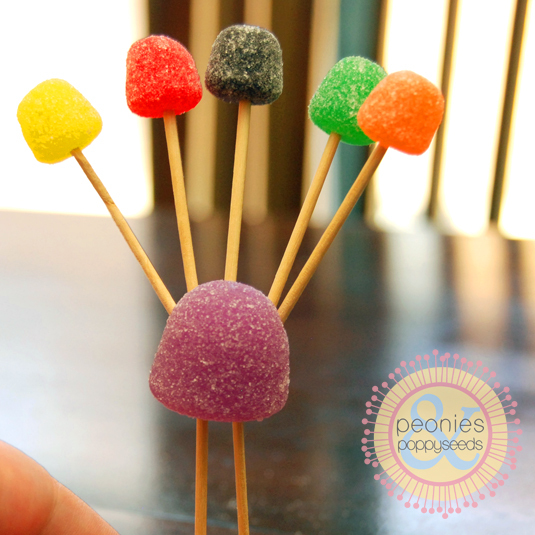 And then stick a small gumdrop on one end and stick the other end in your big gumdrop to be a head. 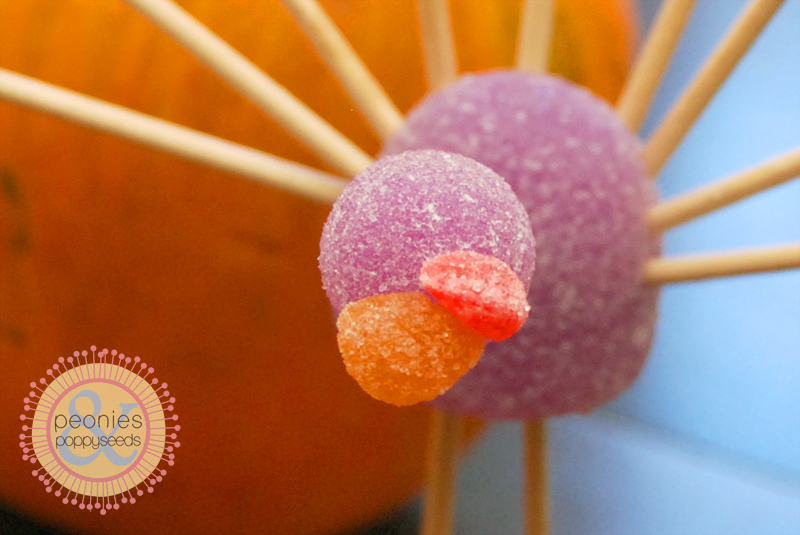 And then take a little orange gumdrop and pinch off a little chunk and stick it to the head for a beak. Then take a little red gumdrop and pinch off an even smaller sliver and stick that to the beak for that red hangy thingy that turkeys have that I have no idea what it's really called. That's it! And hopefully it doesn't fall over too much (you can reposition the legs if your turkey doesn't stand very well). And your turkey will taste super yum when you eat it. Unless you use white spice gumdrops, because whatever that flavor is, it's NASTY.